Acupuncture is an ancient form of healing whereby very fine needles are inserted into points along “channels” or “meridians” of the body. “Qi” or energy flow along these channels and after questioning you, checking your pulses and looking at your tongue Jackie will select the most appropriate points for you to enable the Qi to flow smoothly, thereby encouraging your body to return to health. The needles are sterile and are only used once. Most people find acupuncture is painless but some patients are more sensitive than others and some points are more tender than others. Acupuncture points are found all over the body and it is advisable to wear loose clothing when coming for treatments. 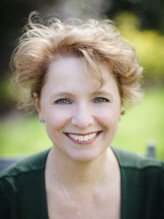 To find out more about how acupuncture works please watch this short video. Tui Na is an ancient form of massage which uses key points on the surface of the body to stimulate the body’s own natural healing process. The aim is to release tension and increase the circulation of Qi and blood. Jackie will often use this technique combined with acupuncture to treat muscle and joint pain. Both Tui Na and acupuncture treatments come under the umbrella of Chinese Medicine, using the same meridians and points. Gua Sha is a very simple and effective traditional healing technique practised widely in parts of East Asia. During a gua sha treatment, a round-edged instrument is used to stroke the skin in a certain area of the body. Massage oil is applied to the surface of the skin to stop any discomfort from friction. The effect of gua sha treatments is to reduce blockages and to facilitate improved circulation. 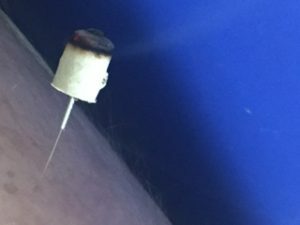 Moxibustion is a traditional Chinese medicine technique that involves the burning of a herb called mugwort to facilitate healing. The purpose of moxibustion is to strengthen the blood, stimulate the flow of qi, and maintain general health. In Western medicine, moxibustion has successfully been used to turn breech babies into a normal head-down position prior to childbirth. It can also be used successfully in the treatment of musculo-skeletal problems and period pains. Moxa can be applied directly to the skin, placed on the end of a needle or used indirectly by waving a moxa stick over the skin. Patients find moxa a pleasant warming experience. Cups are used to create suction on the skin and the muscles thereby increasing blood flow to the area. The points focused on during cupping are based on the points and patterns of energy which flow through the body. It can be particularly effective in treating old injuries which haven’t fully healed and in helping to clear toxins. An electric current is passed through acupuncture needles promoting the flow of Qi and blood which helps relieve pain, warms the muscles and removes blood stasis. It is often used for muscle and joint pain.